I’ve written these sporadically, but I’m going to try to write them a bit more regularly, at least once a month. This is one of my annual Advent/Christmas reads. If you’ve never read it, or if you’ve never read a book by an ancient Christian, then I recommend it, especially this translation. The Popular Patristics Series (patristic means relating to the early Christian theologians, often called the Church Fathers) by St. Vladimir’s Seminary Press is a great series for getting translations of ancient texts in understandable English. However, it’s also a great series for the scholars out there. If you are a scholar or are interested in getting into the original languages then I’d recommend picking up this edition which has the Greek on page and English on the other. This book has been formative for me as a theologian. It’s one of the foundational pieces for understanding deification and it helps situate the Incarnation as the central cosmic event. It’s a must read for me every Advent to help prepare me for the coming of our Lord. This is the other theological book I’m reading right now. I picked up at the recent AAR/SBL and have become acquaintances with the author. Now, my reading of Hans Urs von Balthasar has been fairly limited, but that’s not an issue with Carpenter’s book. She explains Balthasar’s thought very clearly so that you get a sense of what he’s saying without having read all the books and essays Carpenter has. 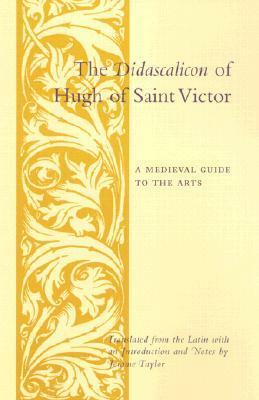 That said, this is a definitely an important book in Balthasarian scholarship. Carpenter, so far anyway, is doing an excellent job explaining the importance of art and poetics to Balthasar’s theology. While she uses the word theo-poetics differently than I do in my thesis, her use is, I think still connected. For Carpenter, theo-poetics is about a poetic theology, poetic logic and images that help undergird and connect theological reflections (whereas my own use is to connect it directly theopoiesis or deification). So far the only glaring problem with this book is that it is making me want to buy more Balthasar books than I can presently afford. This is another of my annual Advent/Christmas reads. Tolkien, that wonderful sub-creator, began writing his children letters from Father Christmas in 1920 when his eldest son, John, was three years old. From that first simple letter comes many more with more and more characters and events each year for the next 26 years (he stopped when his daughter Priscilla was 17). These letters are full of wonderful stories, as you can well imagine, but also wonderful pictures. Tolkien was a rather good artist in his own way and the pictures as well as samples of the handwritten letters that adorn this book are wonderful in the truest sense of the word. Yet another of my annual Advent/Christmas reads, Charles Dickens’ A Christmas Carol is really a book everyone should read, full stop. In this book both the meanness, the grotesque, the worst of human nature and the best are on display. Dickens perhaps knew people, and possibly even humanity in general, better than almost any other author (Shakespeare, Tolstoy, Dostoyevsky, Tolkien, and a few others would perhaps also vie for this honor). In this book we get a glimpse into dark recesses of fallen human nature and even a reminder that we cannot crawl out of those recesses completely on our own. The story has, it’s true, become perhaps a bit too familiar to us with umpteen different versions of it in existence on the big and small screen. Still, if you can, try to read the story with fresh eyes and I will be much surprised if you don’t come away having been changed by the story. For the last few years when I decided I wanted to read through the Sherlock Holmes stories, I would pull out a single-volume edition of the complete stories that I have (it’s a facsimile edition from the originals in the Strand Magazine) and attempt to read them. I say attempt because the book is massive and the pages fragile. So, this year, after reading half of A Study in Scarlet in this format I decided enough was enough, popped over to the library, and picked up several smaller volumes in order to read all the stories without the pain of using my beautiful, but unwieldy single-volume edition. If you’ve never read Holmes, I highly recommend it. These stories are witty, interesting, full of life. I will give a warning however, the majority of the second half of A Study in Scarlet is generally uncharacteristic for the rest of the Holmes stories, taking place in America and having nothing directly to do with the primary protagonists, Sherlock Holmes and Dr. John H. Watson. Advent is a funny time of year for me when it comes to reading. I usually have, as you’ve seen above, several books that I like to read during Advent and Christmas time. In fact, all the books listed above as Advent/Christmas reads, are really books I’d prefer to read during Christmastide (from roughly Christmas Eve to Epiphany eve). But I’m also usually finishing books during this time and don’t like to wait before picking up a new book. But then I have to try and find books that I can actually read during Advent so that I’m done with them before Christmas, but not too much before so that I’m not just waiting around bookless for Christmas to come. For that reason, and others that make even less sense. I also have two other books that I’ve begun in the recent past but not finished and may not get back to until after Christmas. The first of those books is The Blue Fairy Book by Andrew Lang. This is the first in a series of books that are collections of fairy-tales and folk stories from around the world. When I first started writing my novel 8 years ago, it was to this series of books that I turned reading every story about dwarves, goblins, elves, brownies, and more to try and ground my characters and creatures in the stories we have told ourselves about them. The second book on the back burner is The Shaping of Middle-earth by J.R.R. Tolkien. This is the fourth book in the History of Middle-earth Series put out by Christopher Tolkien. This particular volume takes through the stories as things begin to shift from Book of Lost Tales version of them to The Silmarillion version. This isn’t a great book (nor are any in the series) to serve as your “fiction read” if you divide up your reading like I do. That said, the stories in them are always fascinating, as is the insight we’re given into how Tolkien wrote and how his stories developed over time. Well, that’s it, that’s everything I’m reading right now. What are you reading? As I continue to apply for jobs, applying for nearly three for every one I don’t get, I can’t help but reflect on what it means to be a theologian. Whenever I meet new people and they ask the inevitable question, “What do you do?” I always end up answering, somewhat bashfully, “I’m a theologian.” It was easier when I was still working on my PhD. I could just tell them that I was a PhD student in theology. But I’m not anymore, and that complicates the matter. After all, I don’t have a full-time job teaching theology. So I’m not a professional theologian in the sense that I get paid regularly, and enough to make a living, to teach theology. I remember in undergrad there was a professor in our seminary, Dr. Bob Lowery, who wrote once concerning what it means to be a scholar. Did it mean publishing journal articles, writing many books? Did it mean having a PhD or a teaching position at a university? Or did it mean being something more, something about being driven to learn and research regardless of whether one had met all the “proper requirements.” Dr. Lowery seemed to think it was the latter far more than the former. He thought that being a scholar was something much deeper than having a PhD and writing books and teaching at a university. But this is precisely what causes me to wonder what it means to be a theologian. I have academic training, the highest you can get, but does that make me a theologian? I think the answer is both yes and no. Let me explain. Evagrius of Pontus, a fourth century theologian who is sometimes frowned upon in Western Christian circles has written, “If you are a theologian, you will pray truly. And if you pray truly, you are a theologian” (Treatise on Prayer, 61). So there is a sense in which every Christian is called to be a theologian. Being a theologian, in this sense, is one who is dedicated to life in Christ and the contemplation of the Holy Trinity. Even that can sound daunting to many lay Christians, but if you pray, you are a theologian, you are engaging in theology because you are engaging in thinking about and even talking to God. Yet even within this understanding, there are clearly some who spend more of their time engaged with thinking about and communicating both about and to God. There are levels, gradations, of being this kind of theologian. But these gradations are not inherently tied to education. No one would deny that St. Anthony was a great theologian, but he wrote no books and had little to no formal theological training. Nevertheless, St. Athanasius views Anthony as his superior both in the faith generally and as a theologian, which is why St. Anthony was appealed to during the Council of Nicaea. So if every Christian is a theologian and this isn’t necessarily tied to formal education, what does it mean when I call myself a theologian in the same way a cleric might call him or herself a priest, a vicar, a parson, a preacher, or a pastor? Here I have to introduce the language of vocation. Today vocation has typically come to mean training in skilled labor. This is why we have “vocational schools” which train people to be electricians, plumbers, mechanics, etc. (worthy and wonderful things). Other times it simply means the career path one has chosen. But originally, to have a vocation meant to have a calling from God to a certain way of life (the priesthood, monasticism, etc.). The word vocation itself comes from the Latin vocare: to call. I believe that I have a vocation to be a theologian, and this required for me formal and academic training. I remember having some interactions with a former student at the University of Nottingham. He had trouble with some of the theologians in our department who often focused on issues he determined not strictly theological but philosophical (that’s as specific as I care to be, but I’m sure many of you can figure out the kind of stuff I’m talking about). He once told me that he’d rather pray in the gutter with me than read the work of some of our theologians. The Philokalia was his primary guide for what it meant to be a theologian. I don’t want to denigrate some of these opinions. Praying with the downtrodden is an immensely holy thing to do, and there are worse guides for one’s spiritual and theological life than the Philokalia. However, my issue was that this student had no room for academic training which included philosophy and critiquing modern society. He had no real room for theology as an academic discipline. And while I am sympathetic that there is a kind of theology which does not require academic training, and firmly believe that there is another kind that does. One of my PhD supervisors, Simon Oliver, has two sayings that I often return to. He says that we know we are a royal priesthood because there are priests, that is that there are a class of people set aside for the priestly office. Similarly, he says that we know the world is sacramental because there are sacraments. The particular instantiation of the latter, priests and sacraments, allows us to understand the general instantiation of the former, royal priesthood and the sacramental nature of the cosmos. I think this applies to theologians as well. We know that all Christians are called to be theologians because there are theologians. We need people set apart to spend their lives studying theology, studying the deep things of God and his creation, for in this way can we understand that all Christians are called to some level of being theologians. I do want to make one caveat here before I conclude. I want to return to Evagrius. Prayer, that is an active “devotional” life, and by that I mean a life of prayer and contemplation, a life of worship of the Holy Trinity, is necessary to be a theologian of any stripe. If that is missing, then one is certainly not a theologian, at least not in the Christian understanding of that word. One might study religions or a particular religion or even doctrines, but if one is not living a life of worship, participating in the rites and rituals of the Church (whichever tradition) then one is not a theologian. Another former professor of mine once told me that he never trusted, and nor should I, a theologian who doesn’t pray. I think there is much wisdom in this and the history of Christianity would certainly agree. So, if you and I have never met and one day we do and you ask me what I do, I will tell you that I am a theologian. It has become as fundamental to me as being a husband and a father. Part of that is simply because I am a Christian and part of it is because I have trained and worked and continue to read and study and write. I am a theologian. I am a theologian because I pray. I am a theologian because I have studied to be one and continue to study. It is my calling, my vocation. At least for me, but I think more broadly as well, this is what it means to be a theologian. Thanks much to David for this question. I’ve answered the “favorite books” question before, but the “most influential to my theology” question is one I’ve not paused over as much. Five years ago my answers to this would be noticeably different, primarily due to my conversion since then into the Eastern Orthodox Church. In light of that spiritual journey and my work as a young (i.e., lowly) academic and PhD student, moreover, I expect the answers will be different again five years from now. Dionysius’ short work is known as a classic of “apophatic theology” for detailing the limits of language and words to the point where we become “actually speechless and unknowing” before the “Cause of all beings.” This process of assertions and denials about the Divine Cause presents a particular challenge in rightly reading the mystical Scriptures. Dionysius’ hermeneutical challenge is to realize the Scriptures as the highest language we can experience, embracing the “divine names” not as intellectual idols of God’s essence but as ways of experiencing His energies. In my small world of reading/study, this liturgical/embodied/apophatic epistemology is a theological landmark. We all know the Patristic formulation that Athanasius made so popular: “for the Son of God became man so that we might become gods.” For years I read this from the assumption that man’s “fall”caused the Word of God to take on flesh, but such an assumption seems bound to a framework of immanent reason (and even a “physical theory of redemption”). 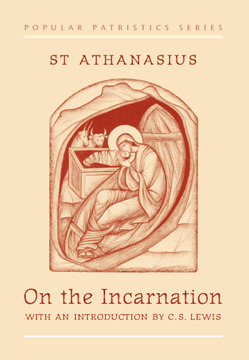 Athanasius surely has more in mind–namely, presenting the Incarnation as Christ’s “divine manifestation.” Athanasius doesn’t dwell solely on the physical details of Christ’s birth but rather focuses on how the Passion reveals the true nature of his coming through the Theotokos, his life, death, and resurrection. In other words, Athanasius’ understanding of the Incarnation extends beyond the manger to include the whole scope and entirety of Christ’s life and work. What does this mean? Our ways of theologizing must begin with the whole life of Christ–including grasping the Nativity from the vantage point of the Passion–vs inferential theories that gloss the depth of terms such as Incarnation. OK, moment of honesty: I can’t list the Hugh’s Didascalicon without also listing Illich’s In the Vineyard of the Text. Illich’s work convinced me the Didascalicon was much more than yet another Medieval treatise on the ars liberalis. Illich revealed in Hugh’s work, rather, an entire theological anthropology bound in embodied, corporeal reading. After reading Hugh/Illich, reading was not reading anymore for me. I’m convinced now that the technological move from “book to text” evinced in the transition from monastic education to scholastic university has rendered a different picture of mankind altogether. Reading Hugh/Illich has blurred the lines between reading/study/prayer–and has convicted me how poorly I practice all three of them. Matthew Vest is as the Assistant Director of Graduate Studies for The Ohio State University Center for Bioethics and Medical Humanities. Vest holds a B.A. in Moral Philosophy, an M.A. in Liberal Arts, and is currently a Ph.D. student in Theology (University of Nottingham). When out of the library or office, Matthew Vest and his wife, Leah, both enjoy ultra running, craft beer/homebrewing, and chasing after their two wild warrior-toddlers.